* – I’ll start this post off by saying whatever I type here will in no way do the experience I had at Cinequest or the credibility of the festival itself any kind of justice. I’ve struggled to articulate how rewarding and how genuinely amazing this festival and the experience had their was. So whilst reading, please do try to times everything I say by around 100…probably more. 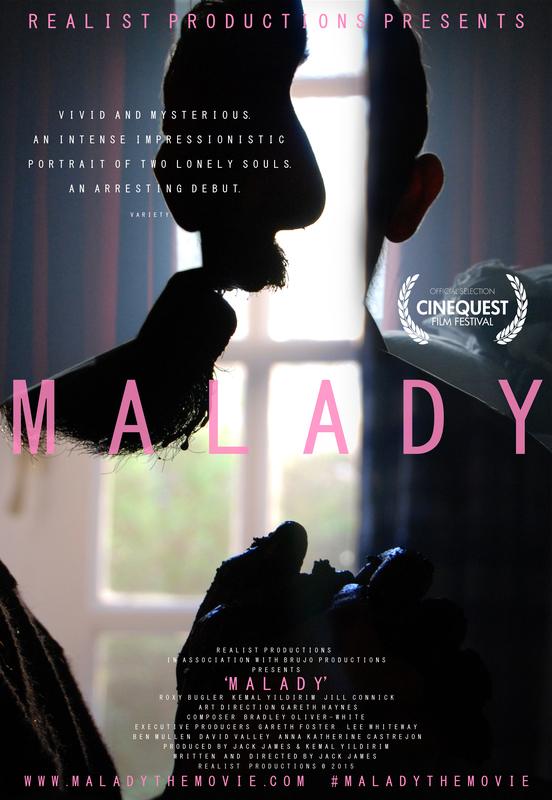 My debut feature film ‘Malady’ had it’s World Premiere at the 25th Annual Cinequest Film in San Jose, California earlier this year!! I felt incredibly lucky to have Malady accepted to be part of such a rewarding and focussed festival!! There’s a very good reason it was voted the top film festival in USA Today (ahead of the likes of SXSW, Sundance and Tribeca). The reception of Malady was incredibly strong and exactly what I’d always hoped I’d get. People either loved the film or really, really hated it. It provoked strong reactions and seemed to leave an impression. The people who hated the film said that they kept thinking about it, a few even mentioned dreaming about it. A few others couldn’t look me in the eye afterwards…genuinely. Some people also thought the film was a quaint period drama called ‘M’Lady’. They were livid. 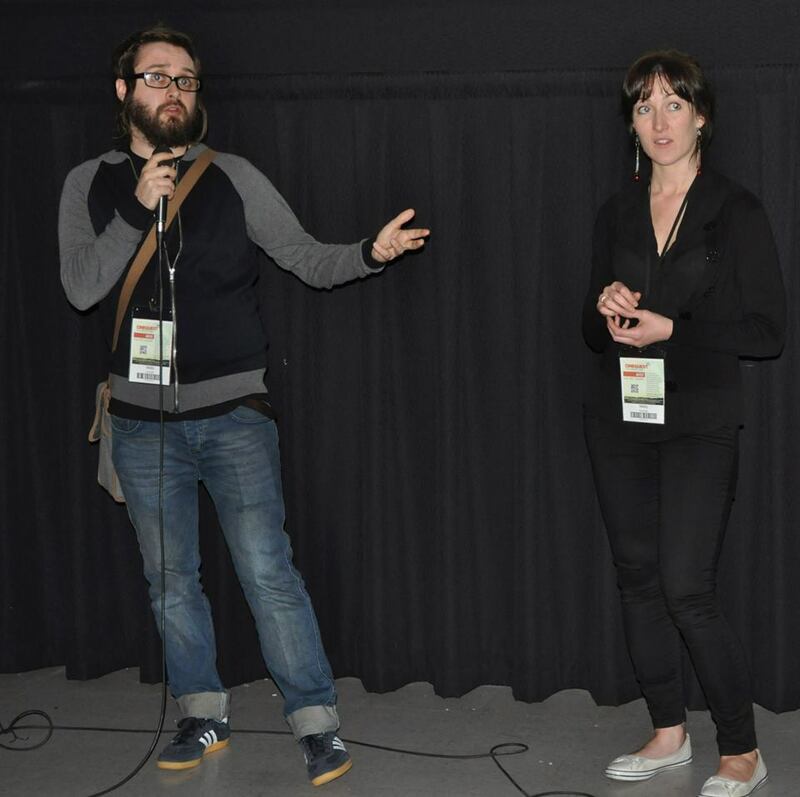 I was lucky enough to be joined by our lead actress Roxy Bugler (who plays Holly) out in California and we were both enthused by the Q and A discussions directly after the film and beyond; the forum offered by Cinequest always lead onto incredibly rich discussions and the audiences who attended Cinequest were very intuitive and switched on which made the talks really interesting. The audience almost always looked like they wanted to kill me when I’d first look up at them. That was alright though. At one point Roxy looked like she wanted to kill me too. That was alright though. Leading up to the festival I hated the idea of talking, but they ended up being some of my favourite moments from the festival. The calibre of the other films presented there was massively high!! To be screened alongside the likes of ‘The Center’, ‘How to Lose Jobs and Alienate Girlfriends’, ‘Dermaphoria’, ‘Aspie Seeks Love’, ‘Wild Tales’, ‘5 to 7’, ‘Children of the Arctic’, ‘The House on Pine Street’, ‘The Anniversary’ and many many more was such an incredible privilege! I also know I missed out on plenty of films that looked incredible! Try to check out the full programme of films at http://www.cinequest.org and hunt them out!! The filmmakers themselves were incredibly humble and supportive too – Cinequest has a very unique way of ensuring all filmmakers are shown an amazing time and are given the opportunity to share ideas and discuss their films. If you’re a filmmaker and your considering which festivals to apply to, definitely apply for Cinequest. If you’re a film lover and can get yourself to Cinequest then buy an all access ticket and go nuts. Just go to Cinequest. This entry was posted in Uncategorized and tagged america, arthouse, cinequest, cinequest film festival, drama, film festival, genre, horror, independent film, indie film, USA, world premiere. Bookmark the permalink.